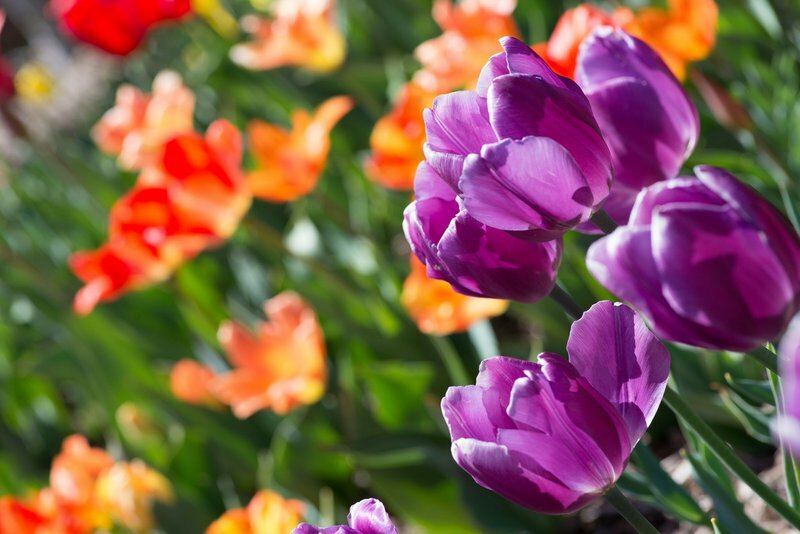 Once spring fully launches and the flowers are in full bloom, head to Tulsa Botanic Garden for a peaceful venture through stunning greenery and exotic plants creating a colorful landscape across this hidden gem of a garden. 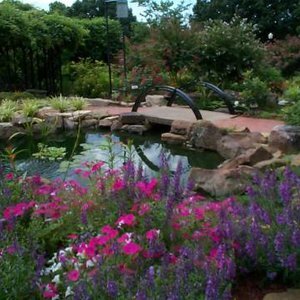 Catch beautiful views of the gardens' surrounding lake as you lean in to smell the roses and other flowers dotting the landscape at Tulsa Botanic Garden. Venture through the Lakeside Promenade, a floral panorama the changes throughout the year, to reach the A.R. & Marylouise Tandy Floral Terraces. Here, find more than 8,000 trees, shrubs, ornamental grasses, roses and perennials catching your eye from across the lake. 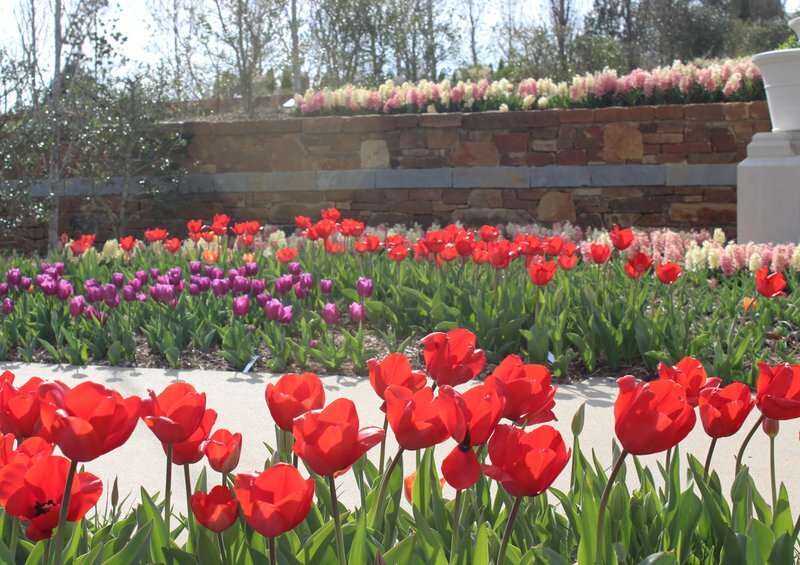 Take a look at the six-foot wide Garden Cascade surrounded by more than 100,000 bulbs, one of the largest spring bulb displays in the Tulsa area. Relax as you take in seasonal color display beds and four terraces within the garden. You can also explore the adjoining one-mile Cross Timbers Trail at the top of the A.R. & Marylouise Tandy Floral Terraces to get in a peaceful walk through the Persimmon Grove trees. Take a seat on many of the strategically placed benches to take in full views of the scenic landscapes before you. The Children's Discovery Garden is wonderful for the young and young-at-heart. This two acre wonderland garden offers hands-on fun from a Sensory Walk with plants to touch and smell, to the Spring Giant with musical instruments and an Art Wall for painting. Larger-than-life insect whirligigs in the Meadow can "fly" with the turn of a wheel and the Tree Fort provides a great look at the tree's canopy as well as the entire garden below. Bring the kids and your camera to Tulsa and wander through the gorgeous greenery of the Tulsa Botanic Garden. Open 9am-9pm on Thursdays during June, July and August 2018. Garden members: FREE While every effort has been made to ensure the accuracy of the pricing listed above, prices are subject to change without notice. Take I-44 E to Gilcrease Expy in Tulsa, and take 43rd St N 4.7 mi to Tulsa Botanic Dr in Osage County.